ACE IT Solutions is proud to announce GDPR consulting and compliance services for American businesses concerned about the impact of GDPR on their organizations. GDPR regulations, implemented in the EU on May 25, 2018, have had a significant impact on enterprise cybersecurity and data governance policies and practices beyond the European Union, particularly impacting global organizations based in the United States that handle data on EU citizens and residents. The General Data Protection Regulation (GDPR) creates drastic and broad-sweeping changes to data privacy for any company that retains EU customer data — which includes almost all businesses in the USA. Our GDPR consultants will help you implement controls and practices for ongoing General Data Protection Regulation compliance. ACE IT Solutions, in partnership with Kreston IL Group, provides the full range of GDPR assessment and consulting services to help clients gain a holistic view of their state of compliance and assess their readiness towards the GDPR. 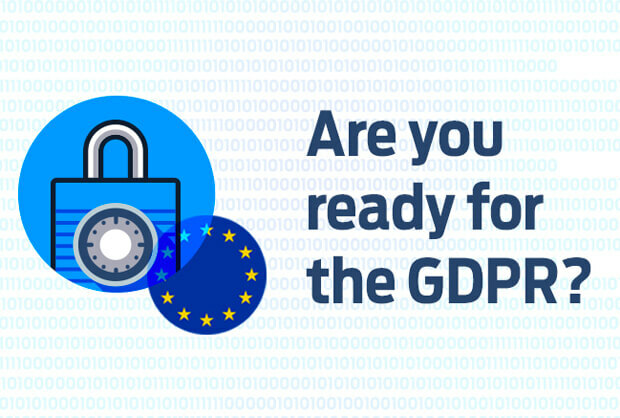 Our GDPR service arms you with customized governance strategies and cutting-edge security technologies to speed up your GDPR readiness and maintain compliance. Our team will assess your company’s data protection maturity, identify gaps, build a GDPR readiness plan, and work with you on implementation to achieve GDPR compliance. After we get a plan in place to protect your data, our certified Data Protection Officers (DPO) will continue to work with your firm to ensure continuing compliance and data security. Because each company is different, there are no silver bullets for compliance. No single product purchase or process change will make you fully compliant, instead, you should take a comprehensive and considered approach. at 646.558.6358 today to set up a GDPR consultation. We can help determine if GDPR is relevant to your organization and put in place the technology to bring your firm into compliance.